UPDATE: This issue has been solved! 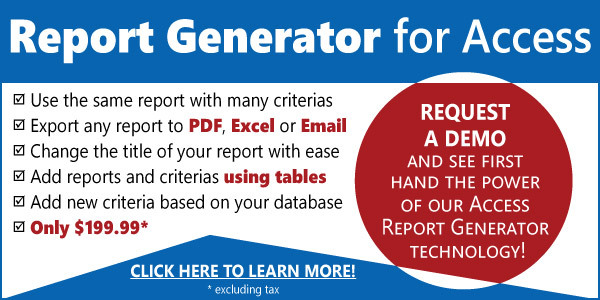 Please review this post to learn more. I’d like to ask all of you to make sure you verify your Access app will work with Windows 7 64 bit before your clients commit to large PC purchases using the OS. At one point I had two clients, running different apps I designed, who decided to migrate their staff from Windows XP to Windows 7 64bit. Both went from a speedy application to unacceptable performance, one of the clients couldn’t get the program to work anymore! Nothing changed, all they did was purchase new PCs with Access 2010, or 2007, everything else was the same, same server, network, database, code, etc. I’ve read posts from others saying SP1 had damaged their app, my issues had come up prior to SP1 so I don’t think they are related. This has be the most frustrating tech support issue I’ve ever had! I tried everything under the sun to resolve this problem to now avail. We even installed XP mode it seemed to work most of the time but for one of my clients it didn’t work too well under heavy use. Both clients have submitted tickets to tech support, and it’s been weeks of testing back and forth in between large gaps of no response. Since the clients already had PCs running the application it wasn’t a big deal, but I have to wonder if this was a new roll out to new 64 bit machines if it could have gotten really bad. All of the apps I write are considered mission critical and I hate to think would would have happened if the operations would have come to a standstill. One of my clients could not wait any longer for a solution so they just swapped out the 64bit with the 32bit version of Windows 7. The other client is still trying to make it work with Microsoft. You can see his Technet ticket here. I make my living helping firms across the US and consider myself an Access Evangelist, but when my livelihood is being threatened in this way it really makes me wonder the commitment at Microsoft towards the professional Access developer’s community. Have you been experiencing similar issues? Please comment below. I have noticed that for my users who have Access2013 32bit, moving from page to page in a report preview is MUCH slower than those who use a copy of the same app file in 2010 32bit. Do you have any idea what is the problem? All using Win7 64bit, same data, same everything except Office. Then run once more the access and then be all faster. Someone knows were to find this maxbuffersize in the 15.0 ?? I have ddr2 desktop which has 1 gb ram and 160 harddisk. Now i need to upgrade ram 2 gb, after install another 2gb slot my system is not supporting it restarts automatically several times. i hope i will solve my problem through this blog. Thanks for bringing up this issue. I have a few customers running our pos system with MsAccess database. When they upgrade from XP to Win 7 the program would intermittently freeze up or the processing will slow down to an unacceptable level. For one affected customer when the database reaches around 30mb in size the problems become serious and he has to start deleting sale records to make the system work again. This is ridiculous because with good old Win XP another customer running a busy grocery outlet can be using a 350mb database quite comfortably. One of the affected customers had to downgrade to Win XP to see a return to normal operation. My testing on Win 8 with a mere 40mb database also shows a similar drastic slowdown compared to Win XP. Anyway has Microsoft resolved this subject problem yet? If not a lot of heavy-duty programs using MsAccess database would become quite unusable, thanks to Microsoft great support! Is this a hardware (64bit cpu, motherboard) or software(OS)issue? If we know at least we can go searching for a solution – like downgrading the hardware or OS … not so sure what I am talking actually. Juan, do you have any further insight and good advice on how to overcome this problem? I think I found out the reason : “Keyboard Language” property of the field should be set to “System”. This is what I tried, and “YES” the speed is just fine! Please spread the word, I have been chasing this for almost a “Year”now! It was a nightmare and all the talk about network protocols and access buffers was just deviating my mid from the main problem which was in fact more simple and straight foward which is simply the keyboard language. Actully I found out by luck is that opening a new form with default fields properties did fix the problem so I checked all the properties one by one and found that the only thing that has changed wad the kyboard language which is logically the thing that is mainly interacting with the slow movements between fields. Seems like acces is having big time conflict with regonal settings of Windows7. Anyway, I hope this will help someone to get his trust back in ms access as I have been counting on it in my daily work. I’m having the same problem and I’m struggling to find the “System” option. I have tried in Windows 7 and In MS Access 14 options but no luck. Only actual languages and none of those have “system” added in brackets afterwards (I checked!). My office IT forced me to use Windows 7 on my brand new HP all-in-one PC. So I’m pretty stuck. Any suggestions? I tried the registry edit suggestion posted by Cesar Alvarado Diaz but that made things worse. Thank you very much Mahmoud! You really saved me from great disappointment. Yes this is the solution to my problem too. I had a form that searches as the user types in a search box. it works fine on windows 10, but strangely the performance is considerably decreased when it is run under windows 7. I only changed the keyboard layout of the search box to “System” like you said, and … youppie ! that’s it. I appreciate your sharing this with us. The issue which we were seeing on Win7 VDIs could be due to the Network hardware device connected with the machine. If TCP/IP scaling is not supported by the network device then the performance will be slow. 3.After running above command restart the machine. I took a package from my ISP to include MS SQL 2008. 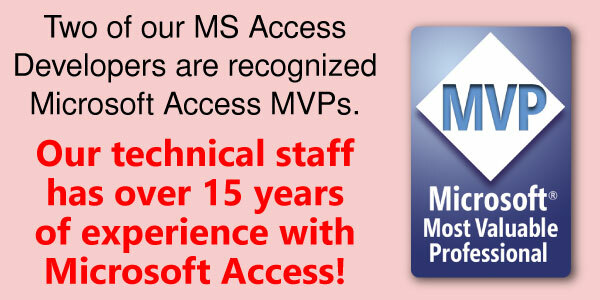 I have a large MS Access 2010 database that works at several organisations successfully. However, I need to close deals with big corporates and require the database to be centralised in several various methods. To test it I posted my SQL database to the ISP. Created an ODBC (dsn) file and linked it to MS Access on my desktop – no problem. Opening the tables – no problem. However, as soon as I open the forms it is very, very, very slow. Even my menu that only has four fields (combo boxes) is extremelly slow. But the funny thing is that the tables open quickly. My Asset Register has 80 thousand records and the table opens in less than 4 seconds. But when opening from a form view it takes 3 minutes. Sorry to hear you have been affected by this issue. My first inclination would be to try Access 2007 and see if that resolves the issue with speed.